Jason Politte and I set up northeast of Little Rock, near Cabot, AR. A large severe storm developed just north of LIT around 11am. 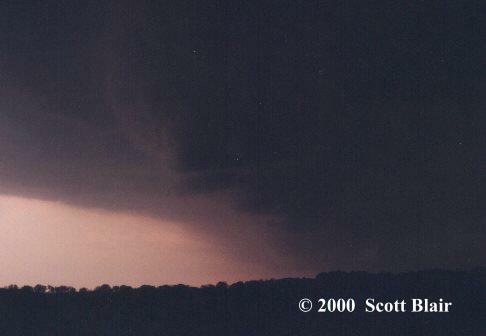 The storm was isolated and contained a nice vertical updraft tower with a small flanking line. We decided to pursue this storm and moved north on Highway 31. NWS LIT issued a severe t-storm warning for the cell. A well defined shelf cloud became evident with strong, cold outflow winds. By 12:15pm, the storm lost good visual characteristics. We decided to push east into better instability. 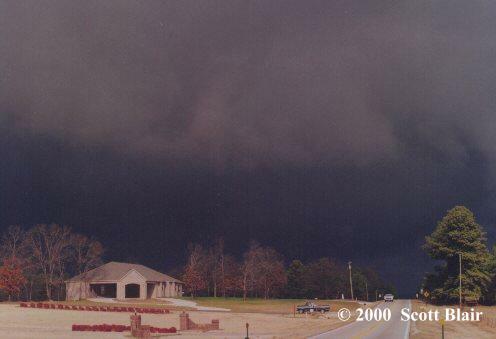 At 1:30pm, we arrived in Brinkley to view rapidly building towers to the northwest. Upper level divergence appeared real evident in this area. However, the storms failed to materialize into anything significant except for extreme NE Arkansas. We decided to end the chase day at 2:05pm. Most everything was in place for a severe wx event. However, prefrontal convection in LA and MS ended most of Eastern AR chance at major storms. I targeted Lake Village, AR. By 3:30pm, a strong squall line was to my west. Around 4pm, a severe storm developed to the west about 15 miles SE of Warren, AR. The storm was clearly visible with a rough shelf cloud. At 4:56pm, a severe t-storm warning was issued for the storm. The north end of the shelf exploded outward, increasing the outflow winds significantly. It became somewhat detached from rest of the shelf. I quickly moved eastbound across the MS River. I pulled in just behind it as the storm was completely separated from the line, now with supercell characteristics. At 5:19pm, a tornado warning was issued for the cell. I was in decent position, but the area of concern was rain wrapped. A nice flanking line and a few inflow bands were observed. The supercell showed rotation and was under a tornado warning just shy of 2 hours until 6:45pm. I followed it until it died just short of I-55. The drive back was also nice with anvil crawlers. Photos Coming Soon We had good surface heating, but fair moisture (56 dewpoint at 00z) in the target across Central AR where a triple point developed. I drove to get into position about 30 miles N of LIT. I met Jason Politte out in the field around 5:40pm. We watched the first cell move to the north with a poorly organized shelf and a few bolts. After a few minutes, a base to the west began to take shape. The base formed a real nice lowering. The lowering kept its shape for a good 15 minutes. 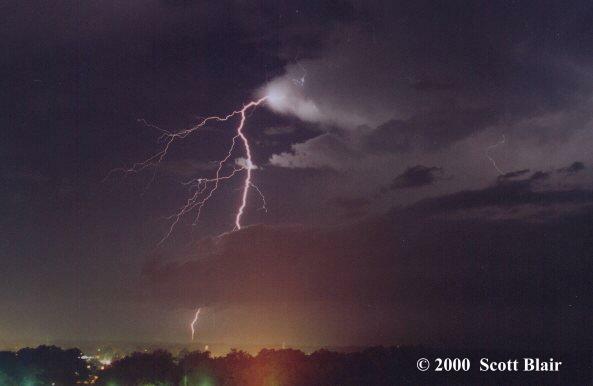 In that time, cg lightning increased throughout the new storm/updraft to the west. 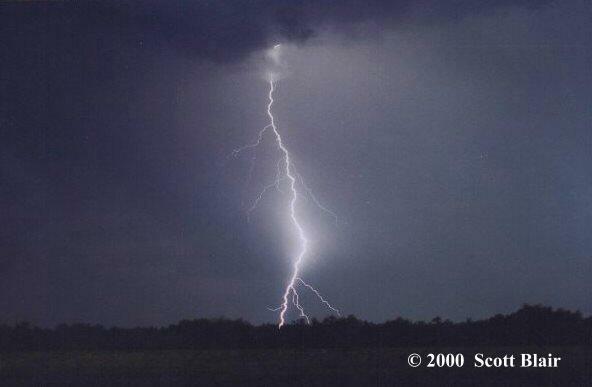 A strong core developed to the southwest providing more close lightning. We pulled off in West Little Rock to watch the core and a few more interesting features. Sunset took control and we ended the chase day around 6:40pm. FULL ACCOUNT AVAILABLE.I targeted and arrived in Brinkley, AR around 4:30pm and was happy to see significant clearing of low level clouds to the west. SPC issued a t-storm watch for parts of Arkansas. I set up 5 miles south of Augusta. A storm moved into Woodruff County and was placed under a severe warning. The shelf cloud was very well-formed and began to bow out just to the north of me. 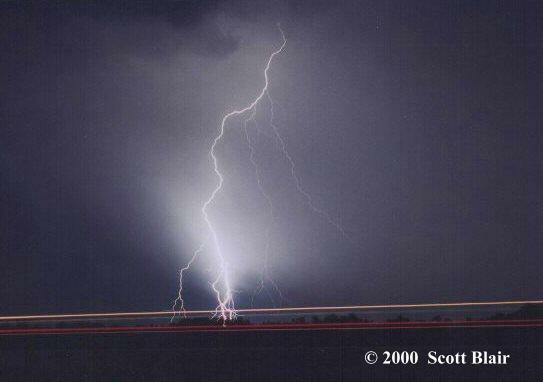 CG lightning was increasing very rapidly. Severe winds blasted across the road and I reported into NWS LIT. I stopped for one last photo opportunity along I-40 east of Brinkley, AR. The shelf cloud was still nicely organized and the lightning activity was very frequent. 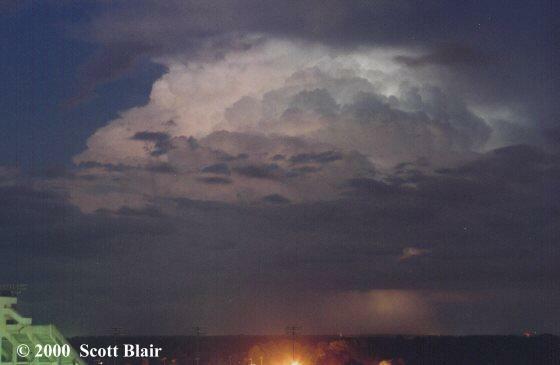 FULL ACCOUNT AVAILABLE.Leaving LIT at 5am, Jason Politte and I targeted areas of SW OK for possible supercells. We later met up with Eric Nguyen at OUN. 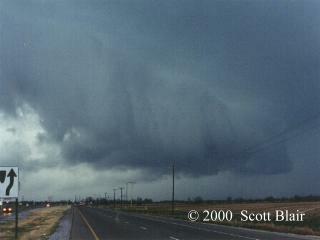 Storms matured near the Duke, OK area as a supercell evolved into a large developing squall line. 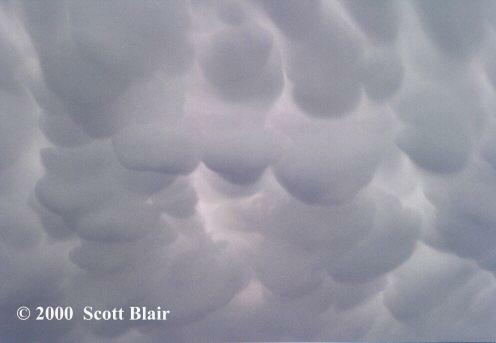 Excellent mammatus clouds were present throughout the region. We bumped south into NW Texas and followed the tail-end-charlie cell. We continued to follow the cell with wonderful transitions in the linear fashion, which made for great stills. Finally, the day ended at dark near SPS and the long drive back to LIT began. FULL ACCOUNT AVAILABLE.Starting the day in Colby, KS, Chris Bannan and I targeted the upslope flow region of SE WY. 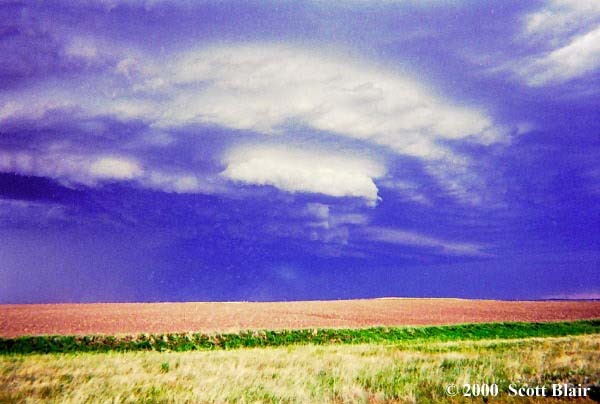 By 5pm, a supercell had developed near Wheatland, WY and we moved closer to observe the storm. At 7pm, a nice wall cloud developed under a large rain-free base. 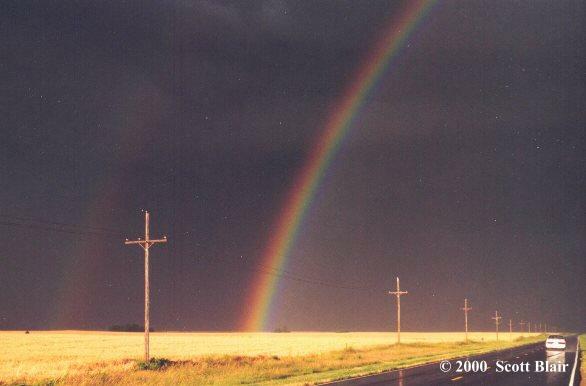 Shortly after, a large funnel reached for the ground and a tornado was born. The tornado did no damage and lifted after a few minutes. From the same meso, another rope tornado touched down several minutes later under perfect backlight conditions. The day ended after RFD wind/hail and an excellent sunset that contained amazing color. A classic chase day! FULL ACCOUNT AVAILABLE.A tornado watch was issued for Western AR by early afternoon. 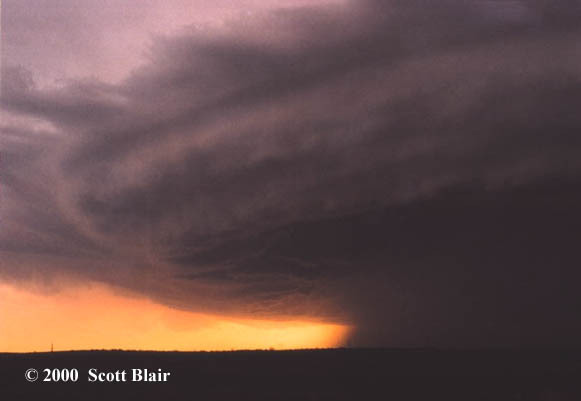 A supercell developed in Scott County and was placed under a tornado warning. However, the terrain was next to impossible so I decided not to pursue. 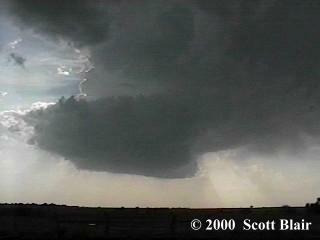 Another supercell developed near FSM, which was LP in nature. 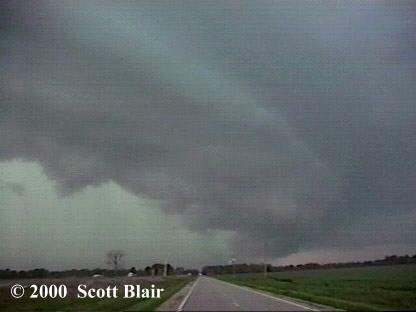 I met Jason Politte and a host of other chasers in the field as we all observed the super convective LP supercell. As dusk set in, the cell slowly died away and I returned home to LIT. Observed a nice supercell that produced a wall cloud and brief funnel in the Central Texas Panhandle. 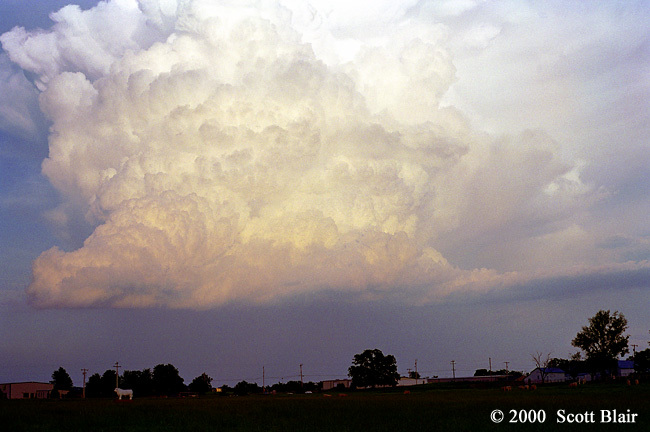 After the updraft became rain-wrapped, we bumped north to near Dickens, TX. A few weak cells presented some nice sights and colors around sunset. 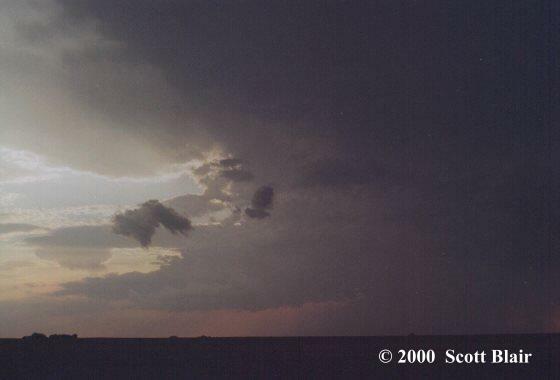 Towards twilight, some virga was noted with a developing cell to the south. Shortly after, numerous cg activity followed and I took some stills. The day ended with a nice lightning show with the long drive back to OUN. Observed a long-lived LP supercell across SW Oklahoma. The cell was slow moving and presented some dramatic sights at times. Two other cells along the dryline became classic supercells, but due to daylight time remaining we decided to stay put and enjoy the LP cell. At times, dime-sized hail was ejected near the vault/BWER region. 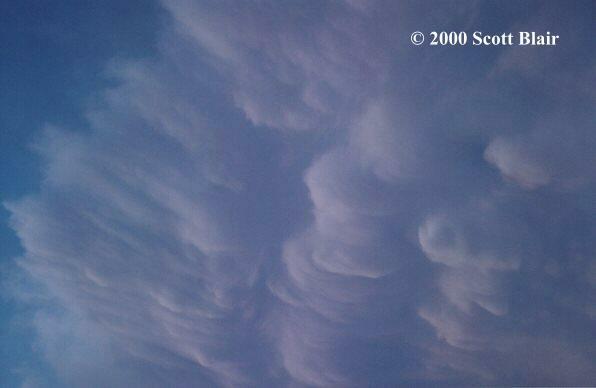 Towards sunset, the storm became more enhanced and the anvil exloded outward, creating excellent mammatus and more still opportunities. FULL ACCOUNT AVAILABLE.Considering this was a minimal storm day, the results were breathtaking. Jason Politte and I targeted a cell north of Big Springs, NE. The cell slowly organized into a tail-end charlie supercell with a decent meso. Strong RFD hit us with dust and we decided to follow it along I-80. More wind damage was noted with highway signs broken apart. A new updraft developed south of I-80 and a tornado warning was issued for the new cell. 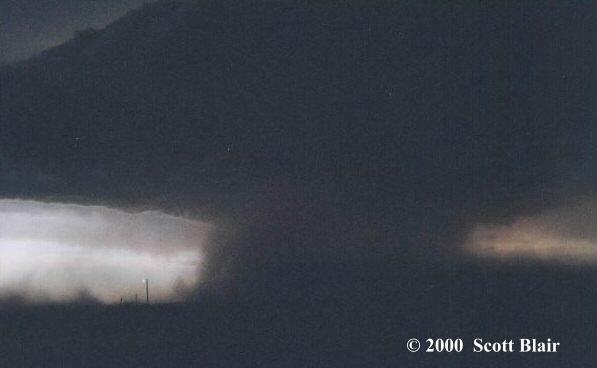 A large column of dust developed in the center of the updraft, resulting from a developing tornado. 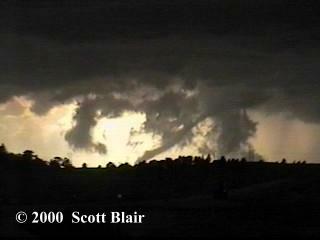 After a few minutes, the tornado lifted as the updraft became severely outflow dominated. 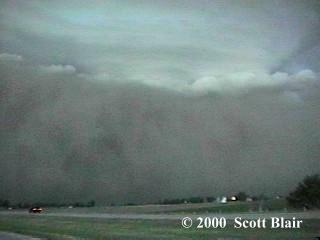 After blasting ahead, the infamous "great wall of dust" developed over Lexington, NE which made for a very dramatic sight. After attempting to outrun the beast, it slammed us near Grand Island with zero visibility. We ended the day in Grand Island and had a great dinner and a Dr. Slice at a local cafe. Eric Nguyen and I observed a decent supercell across Central Kansas. At first, storms appeared to go linear, but quickly evolved into individual supercells. 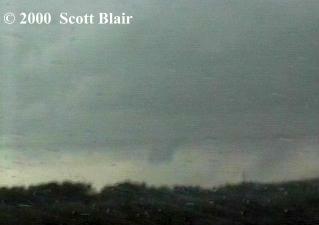 One supercell produced a brief, weak tornado near Iuka, KS as shown right. We followed the storm and watched an excellent contrasted raindow display. 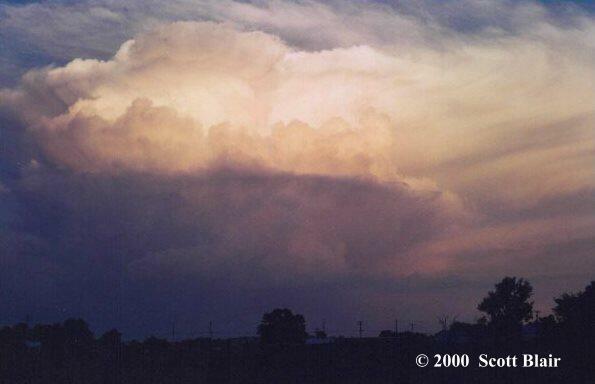 Towards sunset, another supercell developed, this one LP in nature. The day ended with an excellent lightning show. At 4pm, the atmosphere over NE LA had become quite unstable with temps approaching 90, ample moisture, and SBCAPE values around 3000. One storm developed west of MLU and produced a decent shelf and roll cloud. The backside of the storm produced numerous cc bolts as sunset took hold. Another storm developed after dark to the north of MLU. Numerous cg lightning was observed, including one leaping bolt out the side of the storm which made for excellent stills. FULL ACCOUNT AVAILABLE.A decent setup for supercells and tornadoes existed across Eastern LA with a cold front located across West LA and a warm front across NE LA. We targeted areas near the warm front with max SRH and for any isolated cells that might fire ahead of a squall line. One such cell developed NE of Alexandria. 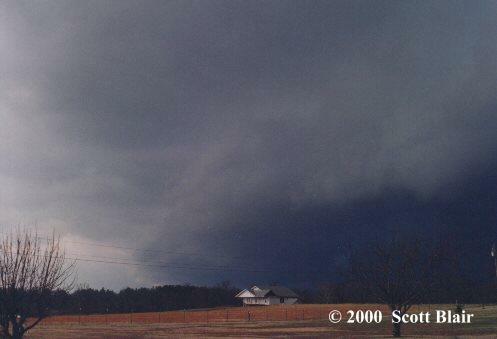 A large wall cloud and inflow tails came into view. Shortly after, we observed a F2 tornado near Sicily Island, LA. RFD rains wrapped around the western side quickly so we followed the cell NEward with terrible road options. 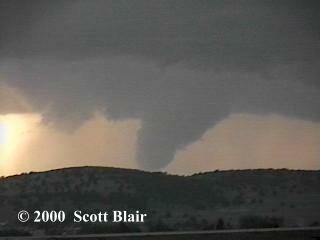 We finally observed the meso one last time before the hook overtook the road. A classic chase day!